“Internationally published author, biographer and ghostwriter of non-fiction and novels” sounds fancy, but I'm simply a professional author with a mission to write entertaining, uplifting stories for reader enjoyment. People tell me that I write well: ‘[Kule] creates emotional stories... he paints pictures with his words.’ Well, I write what I see in front of me, adding imagination where it will improve the story. Growing up in a cramped house, competing for personal space among seven brothers and sisters, two parents, (most times) at least one good hunting dog, and a score of kids living on our block, I learned how to hold my ground, at times from a perch 30 feet up my favorite tree in the woods behind our house. My heritage paint-brushed a wanderlust onto my life-canvas: I've spent time in 35 countries and performed keynote-speaker engagements in 17. I laugh often and can experience a panorama of emotions just for fun, but I prefer to make other people smile, laugh and generally feel happier for having met me or my written works. If you curl up with one of my books and find yourself breathless, provoked, inspired, changed and feeling like you just undertook an important journey which left you more than satisfied, my job as the author will have been a success. Currently, home is Clearwater, Florida, but my passport yearns for more nation-stamps, and my bags can be packed on a moment's notice! Before Julia, Wolfgang, Paul, Emeril, Jacques, Bobby, Mario, Gordon, Rachel, Jamie and Anthony there was… CHEF TELL! If ducking physical blows, verbal zingers and pots and pans from fiery, kitchen mentors never dissuaded him, and his mother’s suicide had not dashed his spirited childhood bravado, winning an outdoor audition in a park for a cooking slot on a TV show would not deny Friedemann Paul Erhardt his place in culinary history. Within weeks, he appeared on-air in 30 cities. Within months, 40,000,000 avid Baby Boomers in 114 cities—larger than Julia Child’s fan base—tuned to Evening Magazine or PM Magazine to watch him perform 90-second, cooking segments three times a week. Personal appearances on The Mike Douglas Show, The Dinah Shore Show, The Merv Griffin Show, The Jon Davidson Show, and live cooking demonstrations in shopping malls and convention centers added fuel to the German-American prairie fire that swept the nation. No one had ever seen anyone like Chef Tell—cooked fast, entertained, taught America to feel good enough to try cooking his way. A cavalcade of fan mail, more than 1,000 letters daily, blossomed into 14,000 pieces of mail weekly. In Capitol Center in Baltimore, Maryland, he drew 20,000 people to his five cooking shows on one weekend. Tell’s appeal—ruggedly masculine yet comfortable in the kitchen—crossed gender and generational lines of television viewers. Twenty and thirty-year-old, female and male home cooks swooned over his engaging style and simple recipes. “You do like this, do like that;” “Very easy, very nice,” and “I see you!” he tells them. “If a housewife or man sees me do something in 90 seconds, they figure they can make it in five minutes,” Tell says. Yet, Tell Erhardt lacked an inner peace and understanding, which he craved. The scars of his childhood and his mother’s ignominious death drove him through three restaurants. He outlasted two marriages, another suicide, sporadic drug use and clandestine sexual conquests before he found the two measures of personal happiness he had sought all along: the honest, loyal love of a woman he could trust implicitly, and his own syndicated-TV cooking show (after he turned down The Food Network’s arguably first contract offer ever made to a chef). Just as a new breeze caught the mainsail of his storied career vessel, two untimely falls led to ill health, lawsuits, marital strife and a (fortunate) discovery of a long-standing diabetic condition. Undeterred, Tell recovered everything: He kicked all medications, manhandled his diabetes with dietary changes and exercise, lost 100 pounds, rehabilitated his marriage, and began his sixth cookbook—an earlier one sold 230,000 copies—this one loaded with diabetic recipes. Friedemann Paul “Chef Tell” Erhardt would have loved that. His biography, CHEF TELL The Biography of America’s Pioneer TV Showman Chef reveals “the rest of the story” for his millions of Baby-Boomer fans to enjoy. “The 2011 Gamecocks annihilated opponents. As a team, South Carolina in 2011 finished with a 1.31 ERA in 10 NCAA Tournament games. The Gamecocks’ bullpen finished 6-0 with five saves and an incredible 0.53 ERA in 33.2 innings of work in the NCAA College World Series Tournament games. They did not allow a single, extra-base hit during the entire tournament. “Freshmen – fresh men – would take their places in 2012. “Despite the loss of key veterans, Tanner’s vision for 2012’s recruiting class and veterans remained upbeat, even confident. He knew by the numbers that a lot of veteran players with outstanding performances under their belts, who stayed, would continue to perform at high levels. Veteran senior, Friday-night ace and All-American Michael Roth stayed on this year, as did All-American, junior closer Matt Price. Nolan Belcher; Ethan Carter; Colby Holmes; Adam Westmoreland; Tyler Webb; Patrick Sullivan, Logan Munson and Hunter Privette stayed. Forrest Koumas, who made the SEC All-Freshman Team and finished at 6-1 with a 2.96 ERA in 19 games and 12 starts, stayed. Thus, begins the amazing story of Carolina Baseball 2012, Poetic Justice and how the 2012 Gamecocks transformed from a ragtag bunch of individuals into a national-caliber team that almost pulled off a miracle, third consecutive, national championship win--a feat accomplished in history by only one team: 1972’s USC Trojans. 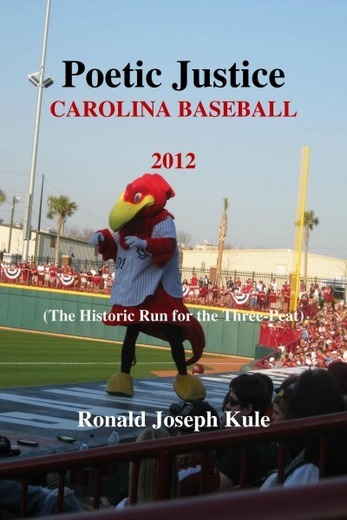 Ronald Joseph Kule’s account continues the saga co-authored by Kule and J. David Miller in Carolina Baseball: Pressure Makes Diamonds – the authorized biography of the 119-year-old University of South Carolina baseball program from 1892 through the Gamecocks’ back-to-back, national championships in 2010-2011 -- the school’s first-ever, major-sport championship wins. 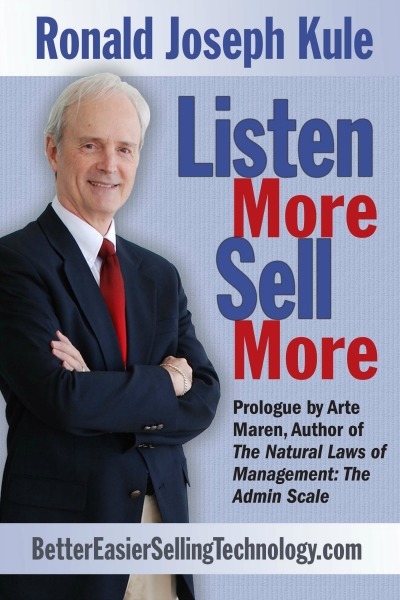 Based loosely on an award-winning, 1892 ad-copy formula that also swept the American sales industry in the early 1900’s, this book offers a unique approach to selling and a collection of correct, fundamental data that lead to certainty and ability to sell well in any situation. The training approach guarantees understanding of what is studied and practiced using exclusive, author-developed training drills that target specific skills. The author’s 39-year, international sales career included door-to-door, in-home, B2C, B2B selling from street level to Boardroom and C-level Executive presentations, and keynote-speaker fundraising presentations before professional audiences. He has trained scores of salespeople with this data through his commissioned-only, international sales training workshops. Designed for self-help study and in-house corporate training, the book includes a complete, step-by-step training course laid out on an easy-to-follow format that ensures attainment of certainty and ability to apply what is learned. What does a man or woman do when a lover dies? How does each bring love back into his and her lives? Can such broken people ever find meaningful love again? Carlos Almarón and his childhood friend Carmela Ariana must confront their difficult pasts and find redemption before they discover what true love may be, before they find new love… or it finds them when and where they least expect it! 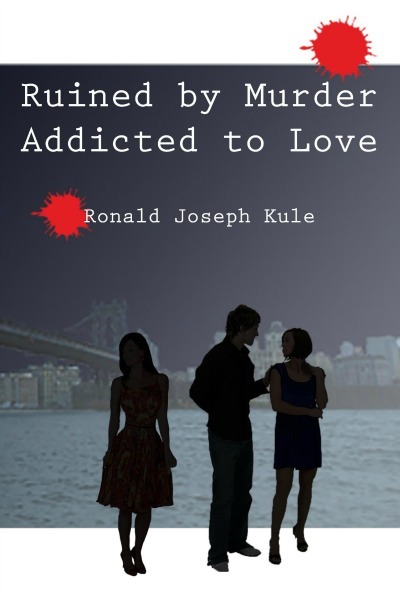 The murder of their mutual lover mars the process, but it also helps each of them find out what is and isn’t important when it comes to everlasting love. 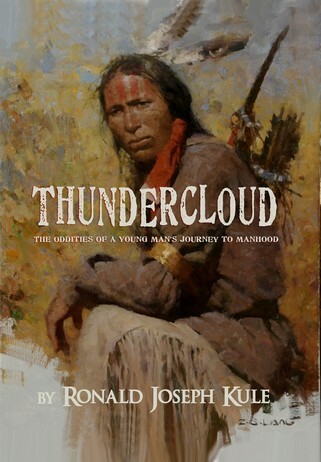 A swelteringly hot afternoon in Oklahoma bears down upon ThunderCloud, a Cherokee teen. He endures stoically the trial he richly deserves in front of his peers and tribunal Elders. Later this day, he is excommunicated by decree. Thus, begins his passage through a world full of strangers and trying circumstances unfamiliar to him. Near-deadly mishaps, interludes with lovers, colorful people – good and bad, and time spent among a clan of Amish people, thrust him into early adulthood and a spiritual awakening that forces his decision to return to his Principal People to make amends, albeit along the way he collects a motley entourage, including a ragtag gang of renegade children, a sage Amish runaway and the woman he vows to one day marry… none of which guarantees acceptance at the gate of the Cherokee Reservation. Robotics technology lab director Dr. Oren Stanson’s murder leads others to discover that life goes on after body death. Sucked into one of the robot bodies, his contact with women he knew before his “death” propels serious in-fighting between those who believe he is alive, and those who do not. A delightful and revealing twist comes when readers find out that those intelligent, voluptuous women are advanced-body androids – human beings running A.I. bodies created by an alien race with a serious agenda for Earth! The takeaway is a set of two questions: Repeated organic birth and death… is this our only choice? Or is there more to Life than meets the human eye?